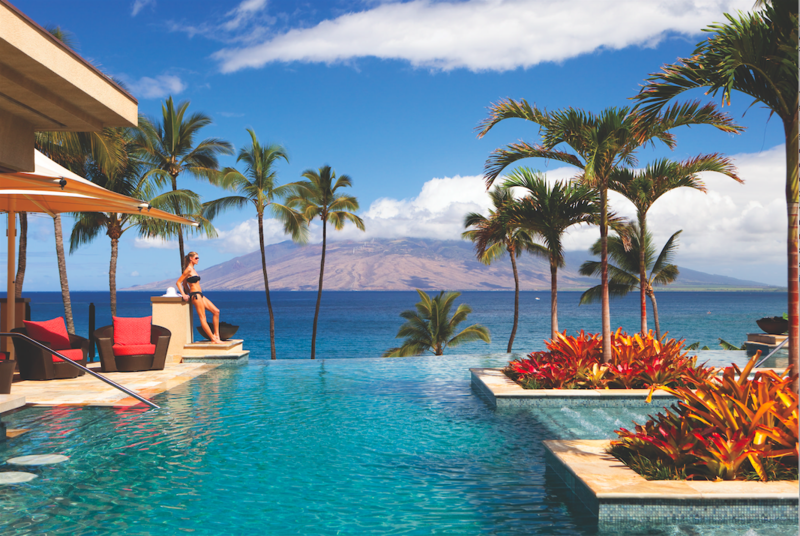 Dreaming of Thailand, Greece, the Maldives, Hawaii, Italy or South Africa? Congrats, you’re right on trend. In the last year of planning killer vacays for our clients, we’ve found two things to be true: the majority of people who reach out to us are either last-minute planners or overachievers. The last-minute planners are set to jet in 6 weeks or less and the overachievers are already planning for their honeymoon in the year 2026. Sorry folks, you’re early to the party….I’ll set a reminder on my cal for 5 years from now. Call ya then! Three words: fresh poke bowls. JK, there’s much more to Hawaii than a delicious bowl of ahi tuna over rice…..I mean, HELLO, there’s also shaved ice, luaus, Hawaiian BBQ, etc, etc….. If you’re someone who also cares about activities in addition to food options, you can look forward to infinity pools overlooking the ocean with larger-than-life volcano backdrops shading your afternoon swim, helicopters over Jurassic-Park-style valleys and gushing waterfalls, early morning bike rides that take you down from the tippy top of a volcano just in time for the most gorgeous sunrise of your life and breezy couples massages on the beach. It’s the perfect balance of adventure and relaxation in a setting that’s unimaginably romantic. It’s also the perfect place for people looking to experience an exotic destination without leaving the good ‘ole US of A.
Holy hell, is this one killer combo or what!?? For the first 10 days of the trip, you’ll spend time at the lavish temples and floating markets of Bangkok, playing with teency baby elephants at a rescue camp in Chiang Mai, learning how to cook authentic Thai food and island-hopping from beautiful beaches to lush lagoons, all in the captivating country of Thailand. 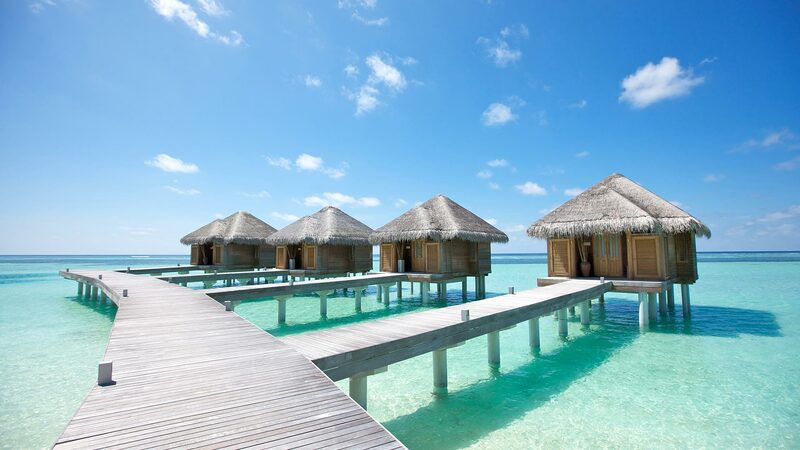 But wait….just when you think your life couldn’t get any better, you move on to the Maldives. Speechless. Once you land in Maldivian paradise, you will literally not have the words to describe what you see. Each resort is essentially its own private island, stocked with dreamy overwater bungalows — each home to its own set of luxuries like sheer hammocks suspended over crystal-clear water to private infinity pools and even mid-water swingsets, an ideal option for those of you interested in making ALL of your insta friends insanely jealous of your life. 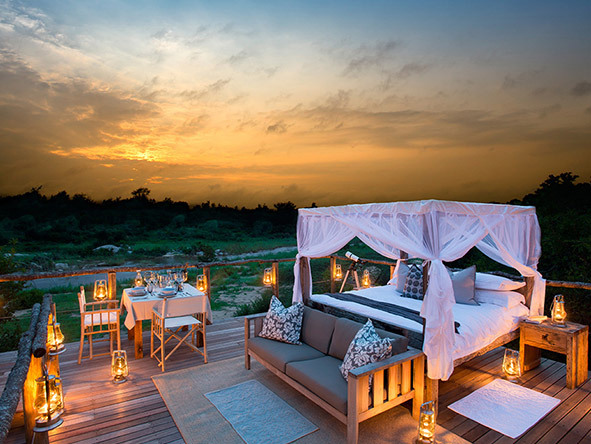 South Africa is special because you’ll be busy exploring in the big cities, but also busy doing nothing at the safari lodges — outside of your game drives, tons of time will be spent just enjoying your surroundings, the people around you and your boo. It’s hard to explain, but the genuine time you’ll have together to really just be…..is unique and incomparable. 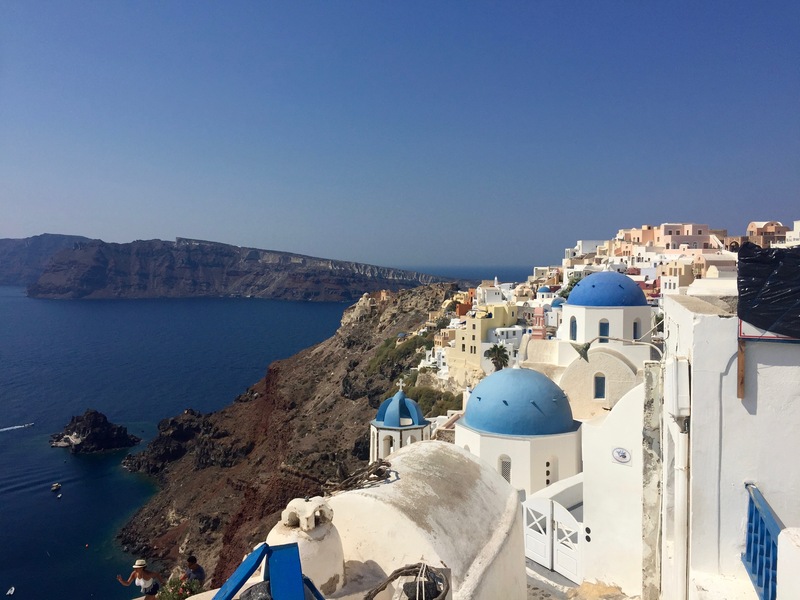 We’ve said it before and we’ll say it again: Greece is one of the best trips you’ll take in your entire life. Why, you may ask? Because the views will literally take your breath away. Because the food is so fresh and amazing that you won’t get traveler’s belly (kind of ruins the mood on your honeymoon) and because there’s just no feeling quite like hanging onto your hubby’s waste as he whisks you away on an ATV to some mysterious, secluded beach. This isn’t your average European sightseeing vacation — it’s an opportunity to escape reality in a setting that replicates my vision of heaven, doing fun and exciting things without the burden of museums. Sorry, museum people….no offense. If you love good wine, delicious food, unbelievable views and beautiful beaches, Greece should be at the top of your list. I’m not sure if Italy will ever surrender its title as the world’s most popular honeymoon destination. I actually have no proof that it’s the #1 spot worldwide, but my mental calculations have validated this claim. Whether couples absolutely love history, sightseeing and museums, sprawling vineyards or sweeping sea views, Italy has it all. It’s relatively easy to travel from place to place and you can see a ton of cities, villages and beach towns in a generally short amount of time — just don’t put your hubby or wifey in the economy section of an old regional train, I speak from experience. Total buzzkill. 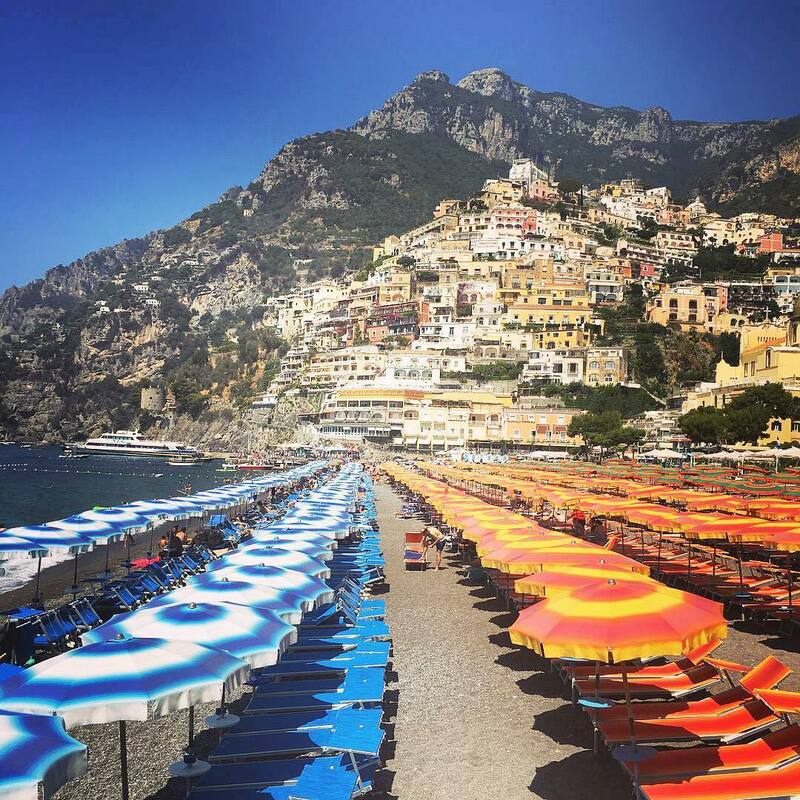 There’s really nothing more magical than waking up to the sea and cliff views in Positano, or laying by the double-decker infinity pool of Caesar Augustus in Capri. There are few things as romantic as driving through the rolling Chianti hills of Tuscany in a little convertible, or giggling about silly things when you’ve had one-too-many tastings of that Sangiovese wine. Italy will always reign supreme as the keeper of European romance, home to some of the world’s most treasured sights and monuments and the ultimate foodie destination (I’m looking at you, truffle pasta!). If you need any additional help mapping out the perfect honeymoon, or ideas on what destination might be the best fit for you and bae, please click here to contact us.